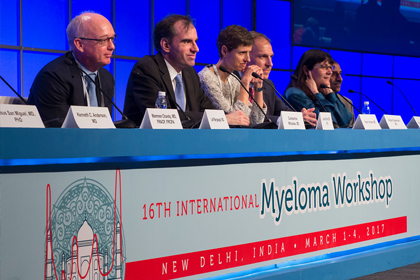 One of the goals of the IMS is to encourage timely exchange of novel findings across the myeloma community as well as provide education for all those who take care of the patients. This is facilitated through the workshops and educational meetings coordinated by IMS across the world. We invite you to read more about our upcoming workshops. Learn more about the publications from our last International Myeloma Workshop (India, 2017). More programs will be added for 2020. Please check back for updates on dates. All sites and dates are subject to change.